Why is biotechnology such a dynamic industry right now? There are real challenges in healthcare, with diseases and the cost limitations of healthcare systems to deal with threats. Biotechnology has always been of high interest since it offers the promise of meeting those challenges using cutting-edge science and product engineering. A pressing issue is that the pharmaceutical industry is facing a large amount of patent expirations and the decline of revenue-generating blockbuster drugs. There’s an effort now to discover new therapies, and the most effective new therapies are expected to involve a biological mechanism rather than simply a chemical one. What areas of biotechnology are undergoing significant change? Gene editing and the use of CRISPR to make that process more useful. Cancer treatments and tests adapted to them. Everything involving next-generation sequencing, from liquid biopsy testing to the use of newer benchtop systems in research labs. The use of biological treatments in wound care. Mass spectrometry and its emigration from research to clinical diagnostic uses. In our newly released e-book, we’ve featured companies in these areas to give readers an inside look at what's happening in various aspects of biotechnology. Was it challenging to narrow down a list of 15 biotech companies? Yes, it was challenging because in Kalorama Information reports we cover hundreds of biotech companies. The list of 15 should not be considered the “top biotech companies” by any means. While we do include companies like Illumina, which would be hard not to watch, readers may be surprised by some companies they may not have heard of that have either no discernible revenues or revenues that are an nth of the larger companies. Yet they are innovative in an area of biotechnology and could be well-known names in the future. If a company is not in the e-book, it’s likely that they are on Kalorama’s radar if they provide significant innovation, investor interest, or business performance. A wide variety of biotechs are featured in the company profiles of our reports, and information about them is available in our Knowledge Center for our subscriber customers. 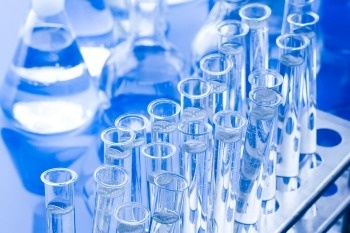 Which biotech market research reports have captured people’s interest in the last year or so? Because of the desire to find new blockbuster drugs, there’s a lot of interest in anything that is related to drug discovery or drug research. Our Outsourcing in Drug Discovery is in its seventh edition and is one of our most popular titles. Because the author conducted dozens of interviews with industry experts, the report contains unique information. Pharma outsourcing is an industry that is hard to research if you’re only using public sources or the internet, so this report offers particular value. In addition, Mass Spectrometry in Clinical Testing Applications generated interest when published this year — mass spec is changing how infectious diseases are detected in patients. Where can people download the e-book? Click the button below to access the e-book for free.